Piston inline flow measurement has many benefits including free mounting position, small number of components, high operating pressures, setpoint adjustability and no need for an external power supply. The measuring principal of piston inline flow measurement uses a spring loaded piston that is displaced by the flow stream. The displacement increases with flow and can be used to actuate a switch or indicate flow rate. Click here to view range. Piston valve flow measurement utilises a piston resting in the valve seat of a housing that moves vertically in the direction of the flowing medium, the travel of the piston being proportional to the flow rate. Click here to view range. 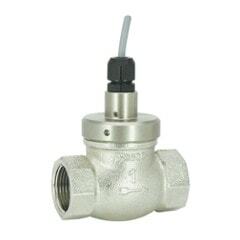 Calorimetric flow measurement measures the energy required to keep a constant temperature difference between an unheated sensor and a heated sensor, both in good thermal contact with the flow media and well isulated from each other. The energy required to maintain this temperature difference is proportional to the flow. Click here to view range. Inline rotor flow measurement devices may be used for flow indication, flow switching and as flow transmitters. This simple flow measurement technique doesn't require straight pipe lengths of "run in" or "run out" at the entry or exit of the flow measurement device. Please contact us for more details. Click here to view range. Flow dependent paddle movement activates adjustable limit contacts and / or pointer metering units. 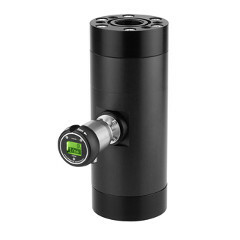 This flow measurement technique offers good repeatability, low pressure drop & precise continuous setting of switching value. 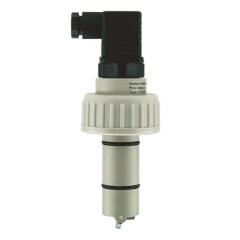 Paddle flow sensing is dirt resistant and is well suited for use with contaminated liquids. Click here to view range. Inline rotor flow measurement devices may be used for flow indication, flow switching and as flow transmitters. This simple flow measurement technique doesn't require straight pipe lengths of "run in" or "run out" at the entry or exit of the flow measurement device. Flow measurement is virtually independent of fluid viscosity. Click here to view range.